In Rhythmanalysis, Henri Lefebvre put forward his ideas on the relationship between time and space, particularly how rhythms characterize space. Here, leading geographers advance and expand on Lefebvre's theories, examining how they intersect with current theoretical and political concerns within the social sciences. In terms of geography, rhythmanalysis highlights tensions between repetition and innovation, between the need for consistency and the need for disruption. These tensions reveal the ways in which social time is managed to ensure a measure of stability through the instantiation of temporal norms, whilst at the same time showing how this is often challenged. 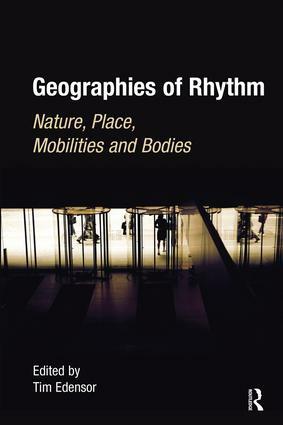 In looking at the rhythms of geographies, and drawing upon a wide range of geographical contexts, this book explores the ordering of different rhythms according to four main themes: rhythms of nature, rhythms of everyday life, rhythms of mobility, and the official and routine rhythms which superimpose themselves on the multiple rhythms of the body.